Christian rapper Lecrae, a grammy award winner in his own right, has hit the number one spot on the Billboard charts. His number one album, “Anomaly” sold 88,000 copies the first week. Does this not add weight to the fact that we are still a Christian nation in the United States? I think it’s obvious. Lecrae landed his first No. 1 album on Billboard 200 with “Anomaly,” which sold 88,000 copies in its first week, according to Nielson SoundScan. This is also the first No. 1 album for his independent Christian label Reach Records, beating out “Gravity,” which sold 72,000 units in its first week in 2012. “Anomaly” is Lecrae’s sixth No.1 album on the Gospel charts and the first to top both the Gospel and Billboard 200 charts. It also topped the Christian album chart. 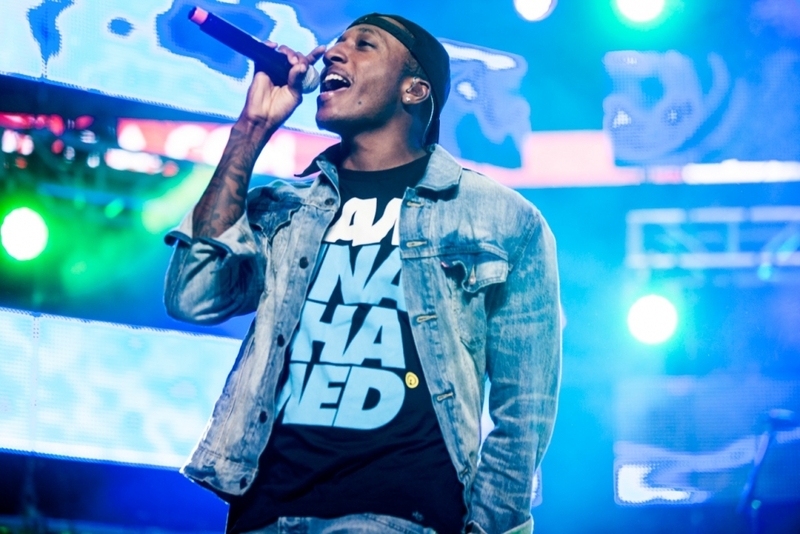 This makes Lecrae the fifth artist to hit No.1 in both Christian and Billboard 200, as other artists, such as Chris Tomlin, Toby Mac, LeAnn Rimes and Bob Carlisle achieved the same feat with past projects. Lecrae is now the only pure hip-hop Christian artist to top the Billboard 200. He’s also been able to have the No. 1 album without having a charting single on the all-genre Billboard Hot 100. His overall album sales total 1.4 million. Christian music is still popular in the United States as proved by Lecrae hitting Billboard’s number one with his album “Anomoly.” This is a good example of Christians working in the god-awful culture in which we live and still making an impact with God’s help. Let’s follow Lecrae’s example and do more for our Lord Jesus Christ! Let’s do something for Jesus!